Maddy, Thanks so much for the nomination. 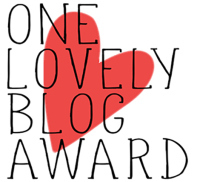 You truly do have a very lovely blog. I love the facts about you and I love Tina Turner! Congrats on quitting smoking. I quit cigarettes 5 yrs ago for the 3rd time, however, I vape. I use zero nicotine so it is just having something in my hand. I would like to have a vape on hand in case I really feel I need one, but we can’t have the nicotine here in Australia – very difficult to find because it’s illegal. What flavor of vape do you use? Black Cherry. It has a nice scent. Mine are nicotine free. No problem Anabel – I am the worst for neglecting my blog but I plan to start posting weekly soon! Hearty congratulations to you .